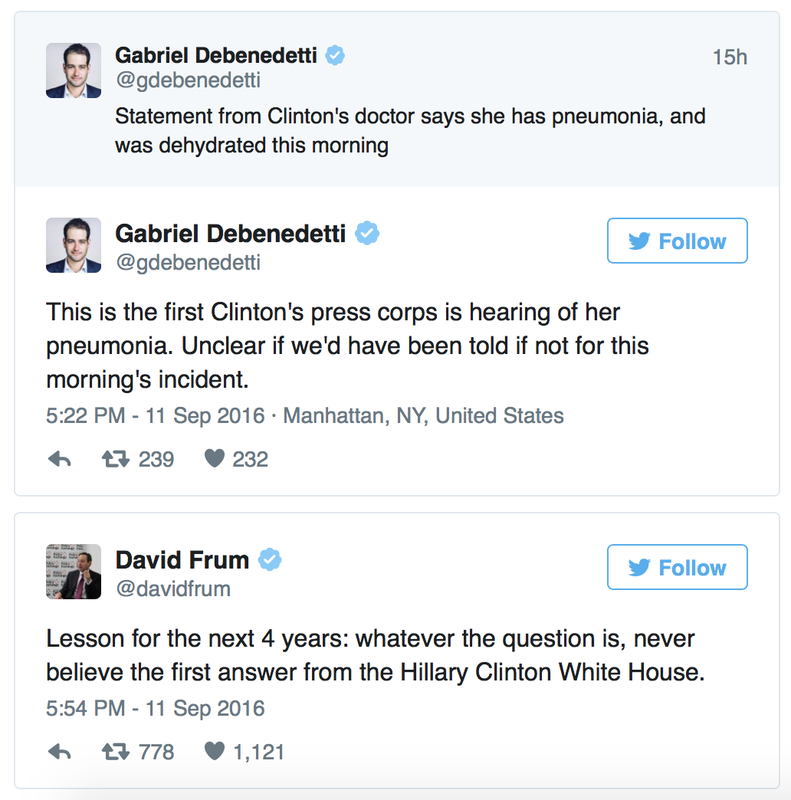 As CBS writes, Hillary’s campaign did not immediately explain why the Democratic nominee did not reveal the pneumonia diagnosis prior to the Sunday incident, raising questions of transparency. This is what her spox said earlier: “Secretary Clinton attended the September 11th Commemoration Ceremony for just an hour and thirty minutes this morning to pay her respects and greet some of the families of the fallen. During the ceremony, she felt overheated so departed to go to her daughter’s apartment, and is feeling much better.” We read it twice: no mention of pneumonia. So when the entire Clinton campaign fell like a ton of bricks on anyone hinting the presidential candidate was unwell after her dramatic coughing fits last week, what word best describes this? And then why did it take two days since Friday for this Doctor Bardack to reveal Clinton’s medical condition? Hillary made her infamous “basket of deplorables” comments at a Barbra Streisand fundraiser on Friday night – the same night she was supposedly diagnosed with pneumonia: why go to a fundraiser if sick, especially since pneumonia is contagious. 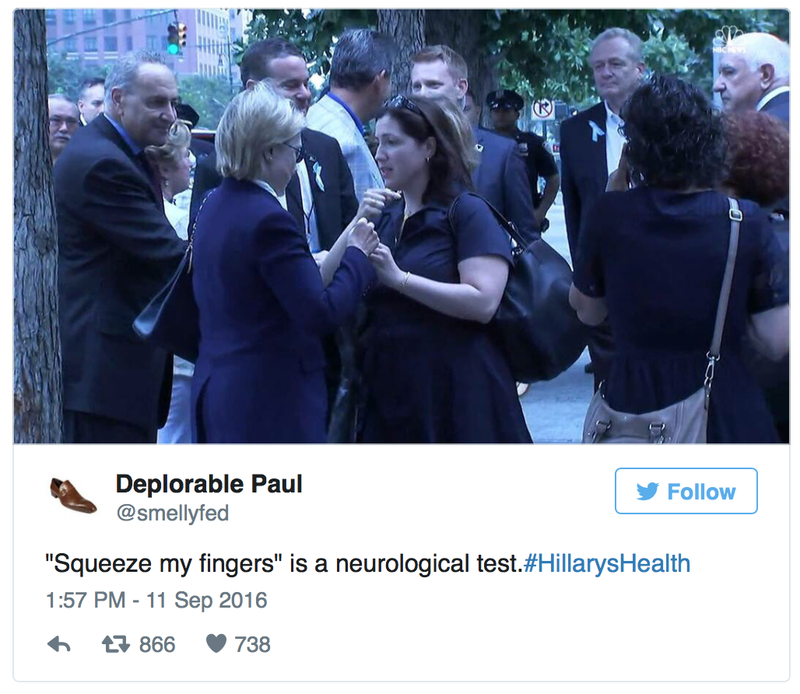 Hillary has had a nasty, documented cough since January – why did it take 9 months to diagnose this? If Hillary has pneumonia, and passed out at an event, – why was she taken to her daughter’s apartment and not a hospital? After all, she was as of today aware of her Friday diagnosis. 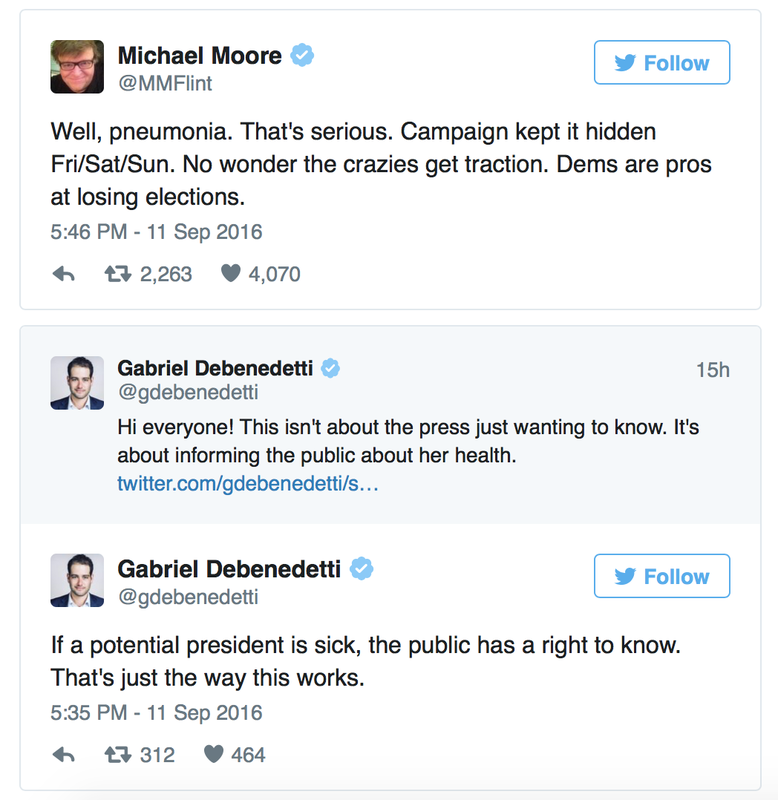 After coming out of Chelsea’s apartment, why did Hillary says she “felt great” – as of this morning she was aware she had Pneumonia; why not admit the truth for once to the public? 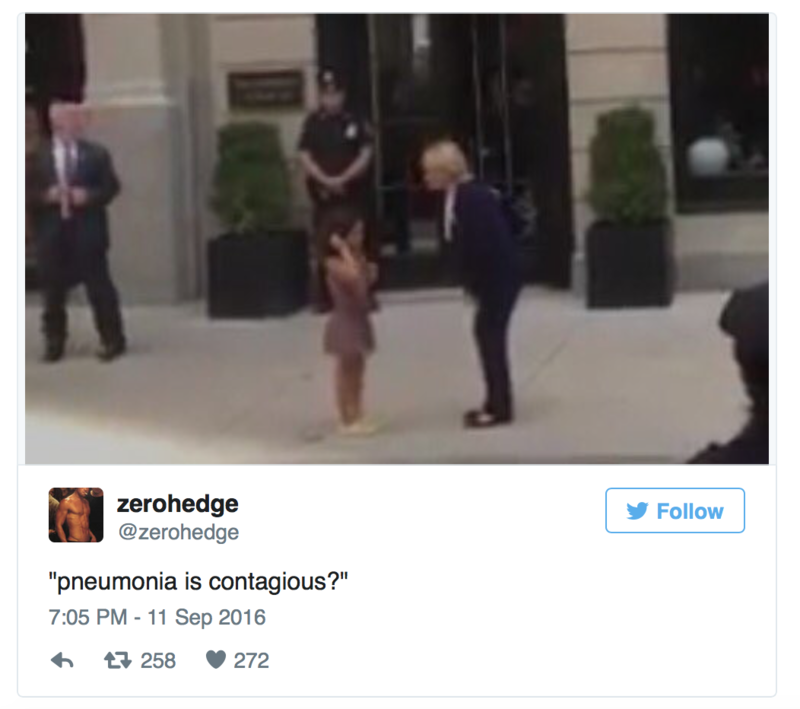 After coming out of Chelsea’s apartment a young girl ran up to Hillary for a quick picture – again, knowing she had been diagnosed with pneumonia why would Hillary expose this young girl to her illness? Does pneumonia typically require neurological testing? It makes one wonder why something as simple as her not being well has to be lied about, covered up, spun, and then propagandized? A distraction from her ‘deplorable’ comments? Perhaps, but one thing is for sure, all those mainstream media types damning conspiracy-theorists over health concerns are now silenced. We wonder if now Hillary will blame her (non-GAAP) pneumonia for having to back out of the upcoming debates, and finally, with credibility in anything Hillary says no non-existent, would it be too much to ask for an independent verification of her rapidly changing medical condition especially since nobody knows what is going on, and whom to believe any more.